We are instrumental in manufacturing and supplying a wide array of Liquid Packaging Machine. Our offered machines are used in diverse industries for liquid packaging and food processing. The machine offered by us are manufactured using optimum quality components and recent technology as per the set industry norms. 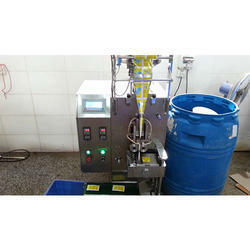 Having a definite quality management system, we are regarded as the noteworthy manufacturer and supplier of an extensive gamut of Shampoo & Honey Packing Machine. The offered machine is meticulously tested on various quality parameters and is widely demanded in various packaging industries. Provided machine is manufactured by utilizing optimum quality components and latest technology. 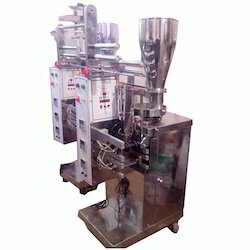 In line with industry standard, we offer this packing machine in various technical specifications. Our range of packaging machines are made in compliance with latest industry standards, using quality approved parts & components. Our company is engaged in manufacturing and supplying of Shampoo & Honey Packing Machine to our valuable clients. We are recognized as the premier manufacturer, exporters and suppliers of Shampoo & Honey Packing Machine. Tomato Ketchup & other similar products. Can run various types of heat sealable laminated film such as Polyester / Poly, Polyester / Met Polyester / Poly and other special heat sealable film. Having speed of 40 to 60 pouches per minute. Adjustable pouch length & width mechanism help in reduction of wastage of packing material. 6 digit preset able digital counter is used. Packing style 4 side & 3 side sealing. Ease of maintenance and servicing. Low power consumption & Easy to operate. 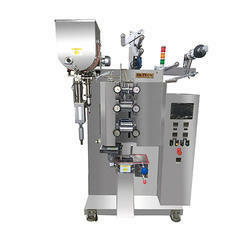 We have a reputed place in the market by offering a commendable range of FFS Liquid Sachet Packing Machine. Highly durable and guaranteed of its enhanced functionality, our offered machine is manufactured using utmost-grade components and advanced technology. The increasing demand of our offered machine remains directly attributable to its distinct features like operational fluency and low maintenance. Our offered machine is used in various industries such as food, pharmaceutical, oil and many more. We are an acclaimed name engaged in offering our precious clients a superior quality range of Hand Wash Liquid Sachet Packing Machine. These machines are manufactured using optimum grade components and sophisticated technology in synchronization with industry standards. In order to ensure quality, these machines are rigorously tested on various parameters by our quality experts.